My darling daughter usually remembers that I know how to sew about 2 hours before a birthday party that she has a) neglected to tell us about and b) neglected to buy a present for (I couldn't un-dangle those prepositions, sorry.) The conversation usually starts like, "Mom? What do you have in the house that can be easily embroidered?" I usually suggest a tote bag or a hat or a t-shirt. Somehow, these are never what she has in mind. Today's simple embroidery project turned into a red metallic pillow with a flange, embroidered in gold. I measured, cut, hooped for embroidery, and my daughter did all the sewing. We're pleased. Hopefully Sarah will be as well. Note my daughter's PJs. I usually have to be on my death bed to wear PJs at 2pm. Speaking of death bed, my daughter finally got the plague. Very, very minor case on Thursday night. Who wants it next? My son goes to college about 600 miles away from home. He's joined the list of the fallen. Who's next? And why is my daughter locked in her room refusing all contact with us? Mine is blue. Especially this shade. Yes, it's a castle. Really. We ate there for two reasons: 1) it's good and 2) we couldn't afford to actually stay there. Then we came home and my husband gave me the best present ever -- the stomach flu. I think my new necklace matches my pjs just fine, thank you. I'm thinking toast now ... maybe? Electricity, I've got a crush on you. Handi Quilter Educator? That would be me! I love Handi Quilter -- the product and the people. I've worked with them a few times in the last year, but the position is now official. I spent a week with the company in Salt Lake City, UT. 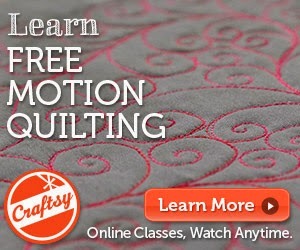 I met five ah-ma-zing ladies who are also new Handi Quilter Educators and we had a blast! We learned all sorts of neat stuff about machines and we quilted every second we could. My new job will be what is has been for the last year, just more so. I will be travelling to different quilt shows and events and teaching people how to use the Handi Quilter. I am thrilled and honored to work with this great company. One of the most important things I learned about my new job is...... always pack a change of clothes in your carry-on luggage. My suitcase caught up to me the next day. I wasn't too worried, but my favorite pair of pumps were in that suitcase!!! 1. "What are we supposed to wear?" 2. "Do the parents host a reception?" 3. "Are we supposed to pay your accompanist (I really don't know how to spell that word)?" 3. "I don't think so, it's part of their grade" -- ok, but are we supposed to give them a gift? I started this quilt about 2 years ago and packed it away. I finished the top over Christmas and took most of January to bind it. The pattern is from Nickel Quilts and a huge bonnet-tip to Bonnie at Quiltville for the pieced back idea. I'm as prompt at taking photos as I am at all other things in life. The object to the left of the quilt in the photos isn't a grand piano in a classroom at the music school. That's my story and I'm sticking to it. The recipient of the quilt was a darling. She is a doctoral candidate and beyond a fantastic pianist. She is from Greece and really appreciated an American quilt. The music my son chose for her wasn't simple. She did wayyyyyyyy more than hammer out a few chords behind the trombone solos. The piano part was insanely intense and she was grateful to be done with it so she could get back to her own studies. I'm so glad she was a part of that wonderful day and so glad she enjoyed her American quilt. File this under 'Shoot me now!'. At the local quilt shop, we were working on scrap quilts from Open A Can of Worms. The theme was supposed to be floral, so I of course brought polka dots. Dots are the new floral, right? Humor me here. Now that the dot/floral matter is settled, I left the shop and went to the grocery store for arborio rice. What is life without risotto? Not worth much, in my opinion. Quick trip in an out and then I was headed to an evening church service. So, the car wouldn't start. It wouldn't even pretend to start. I've been expecting this since last weekend when a gremlin hatched in my electrical system. Blinking lights, power steering outage, power brake outage, radio turning on and off, clock resetting to 12:00 every 2 minutes. Fun stuff. Once I turned the car off and restarted it, it was fine. I knew it wouldn't continue to be fine, though. How did I know this? My car has over 100,000 miles and is American-made. Need more explanation? Mr. Man came to the grocery store to jump my car, and, gosh darn it, it worked. Color us shocked. I slammed my fingers in the door drove home with Mr. Man following me while the gremlins played with my electrical system again. My personal favorite was when the transmission suddenly went into neutral. That ROCKED! Has anyone had the thought process that starts with "I should lose weight" and goes to "I really need to drink more water"? I took that path today. The inevitable end of that thought is "I really have to use the washroom" (just for you Meredyth). Can you picture this yet? Fingers throbbing, car throbbing, bladder throbbing..... Fun ride home. As soon as I pulled into the driveway, I threw the car into park and ran to the bathroom fell on the ice. Yes, I had to do laundry, but only for the mud on my pants and (sob) new jacket. I took care of business then started the laundry then changed into my pajamas then grabbed my heating pad and laptop. Not much to be done for the sore wrists and nether-regions, but the herniated disc that I just aggravated? Heat and blogging are the best medicine. Funny, my smashed fingers din't hurt so much once I threw my back out. Tomorrow, I get to call a tow truck and see how much the beast my cute little car will cost to de-gremlin. If I can get out of bed, that is.